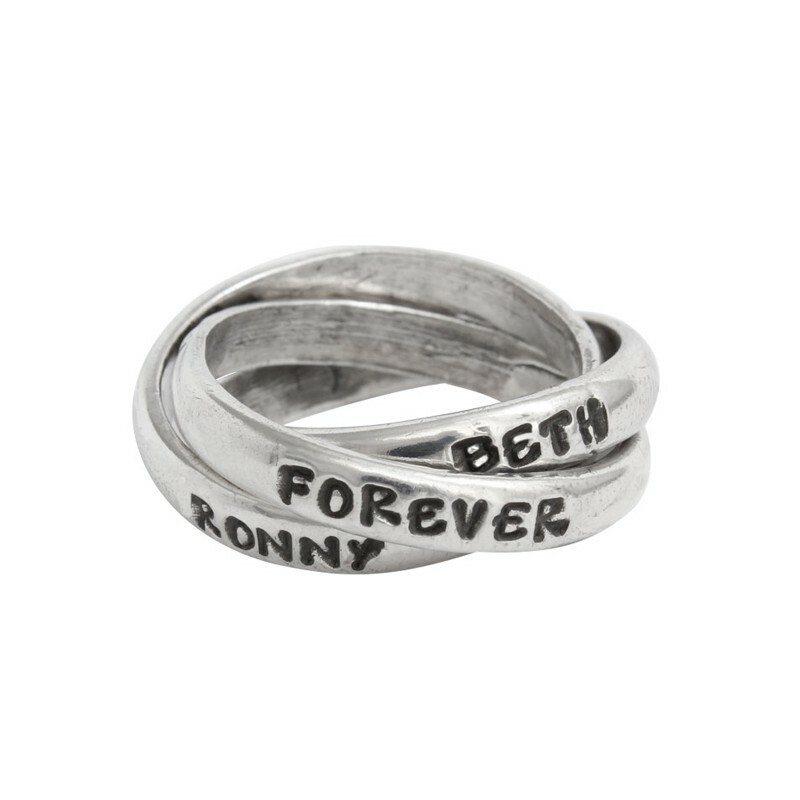 Want an anniversary gift she will remember forever? 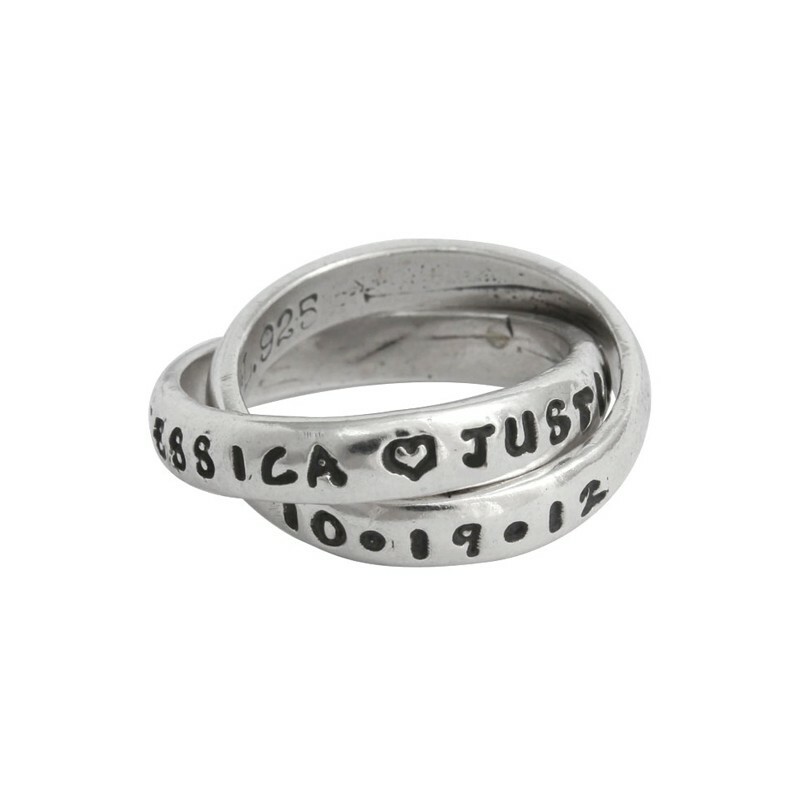 Shop our large selection of anniversary gifts she will love. 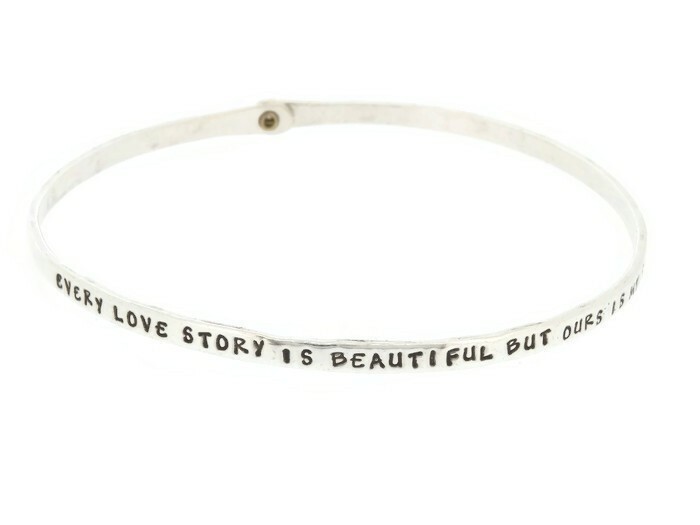 Our anniversary bracelets are available in silver stacking bangles and charm bracelets! 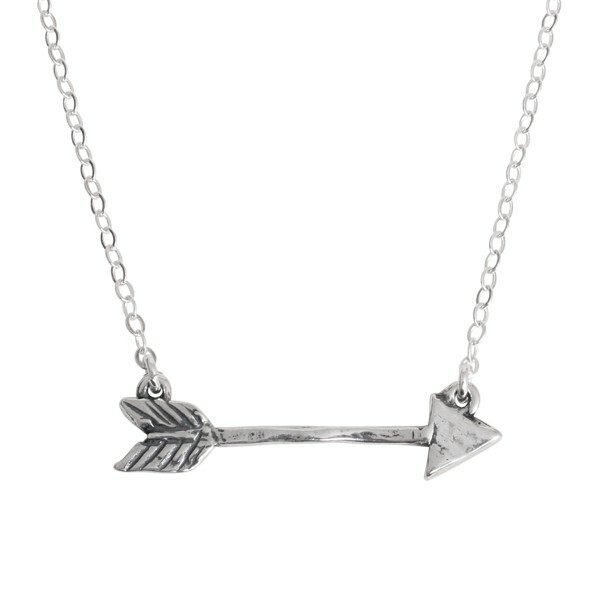 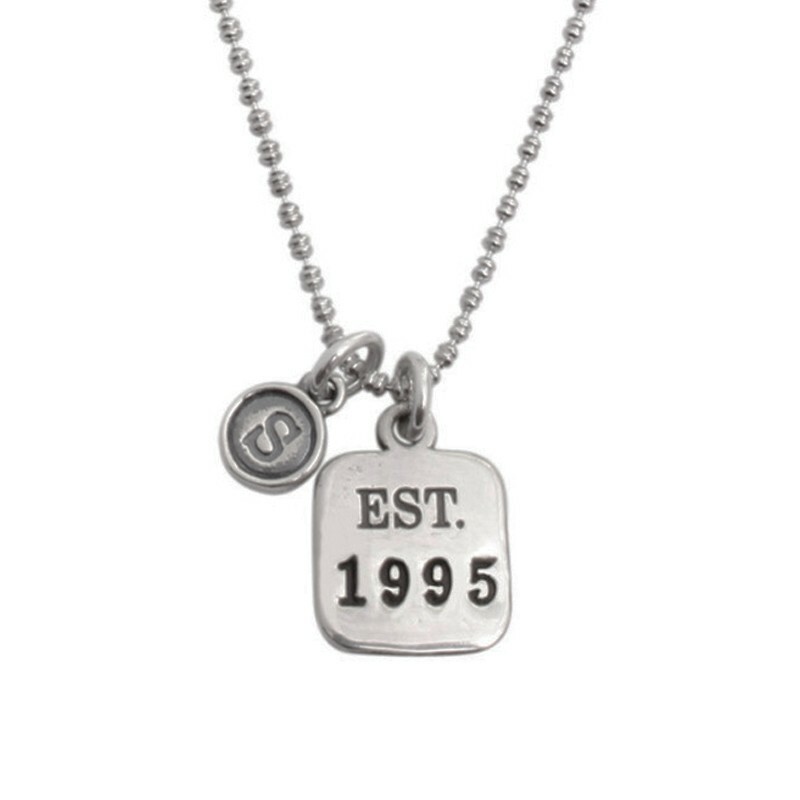 If it is a necklace you are looking for, take a look at our Established Necklace that shows the year it all began. 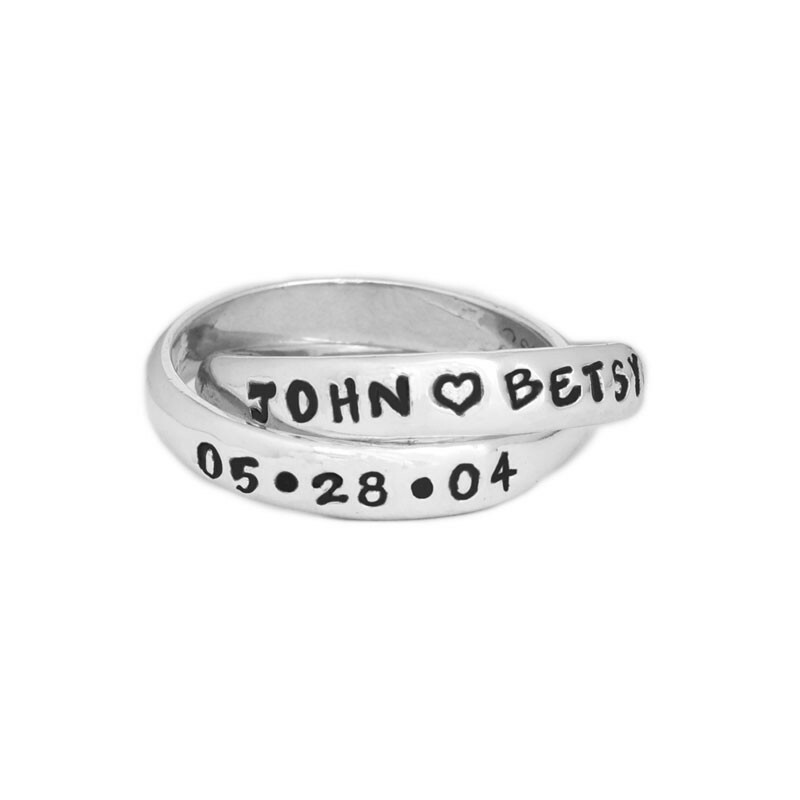 Rings are our specialty and we have plenty of anniversary rings you will love. 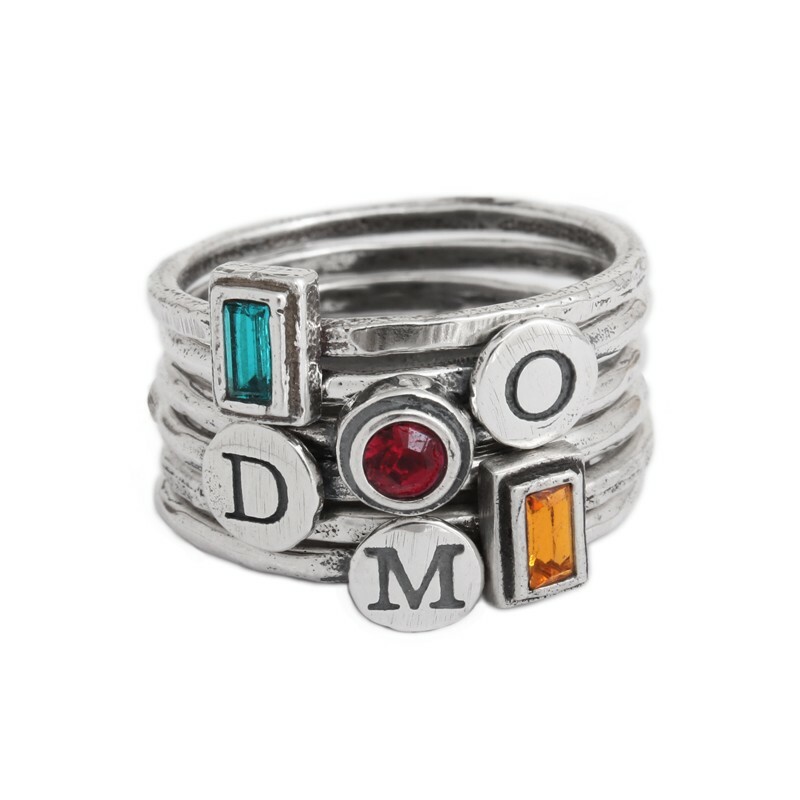 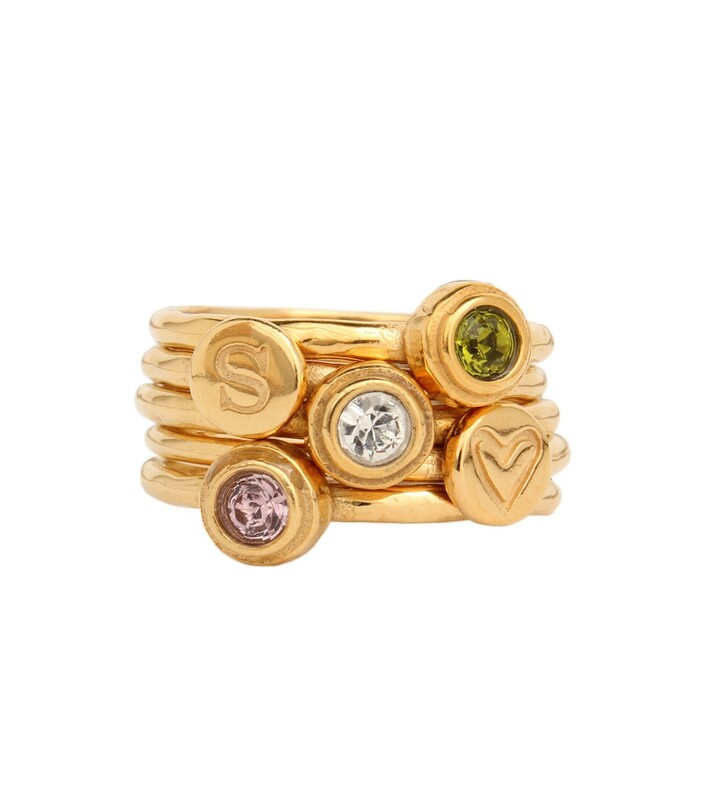 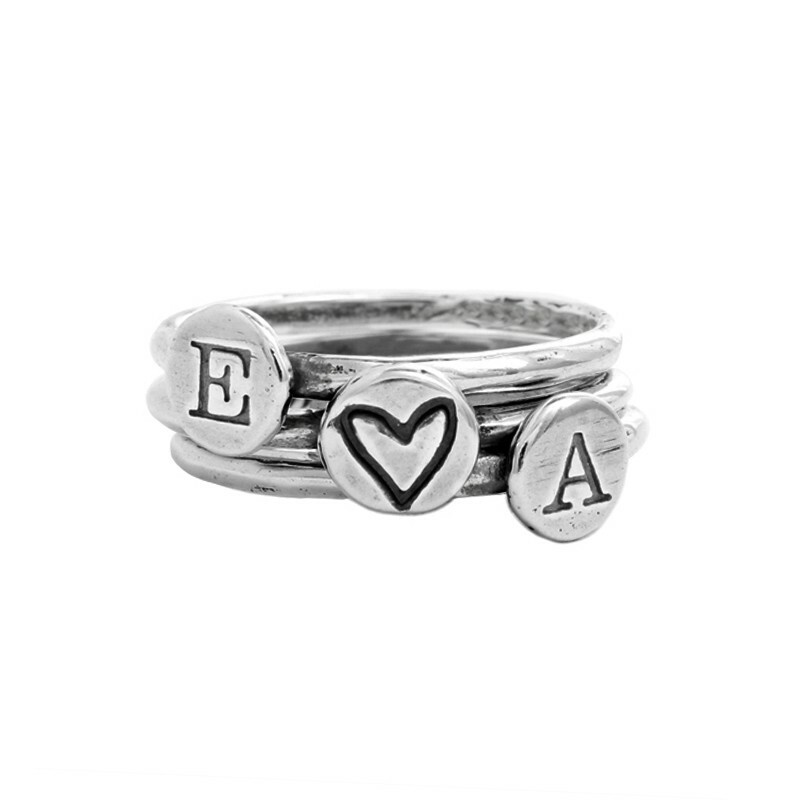 Our most popular anniversary ring is the couples' rings, either in a double ring stamped with names or stacking silver bands with initials and/or birthstones. 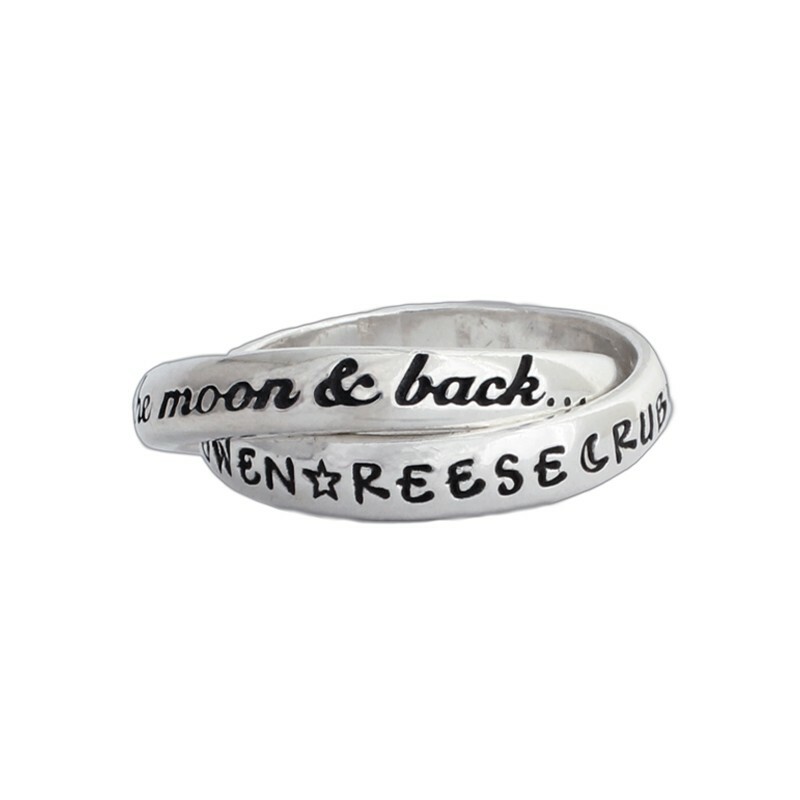 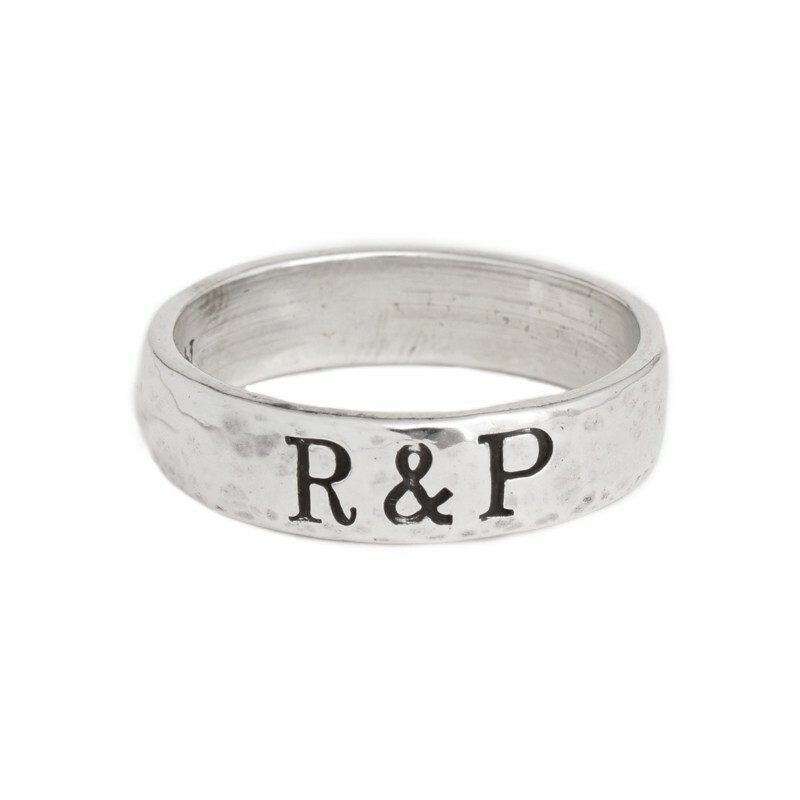 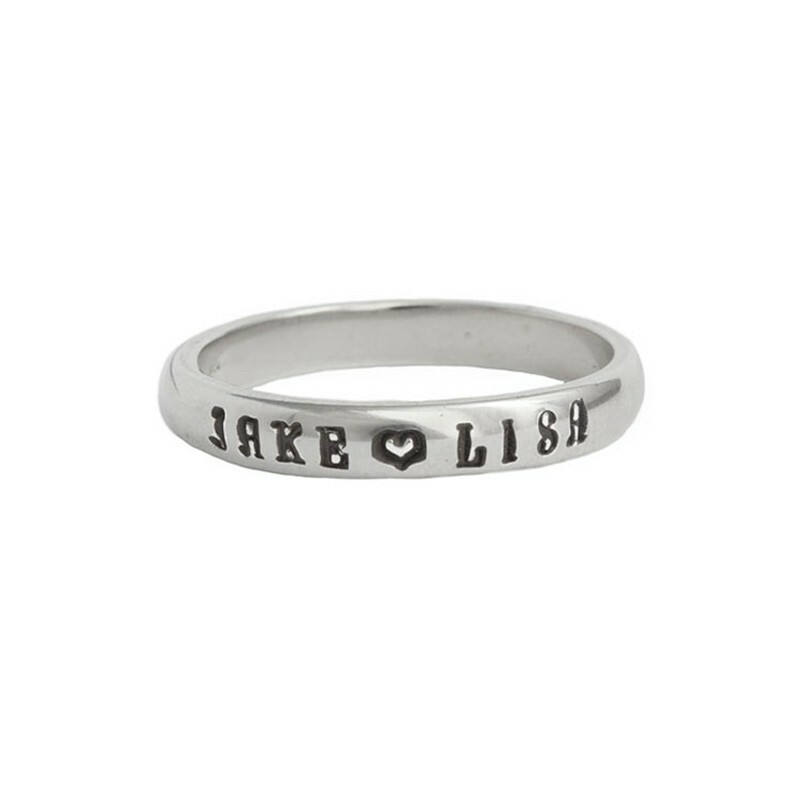 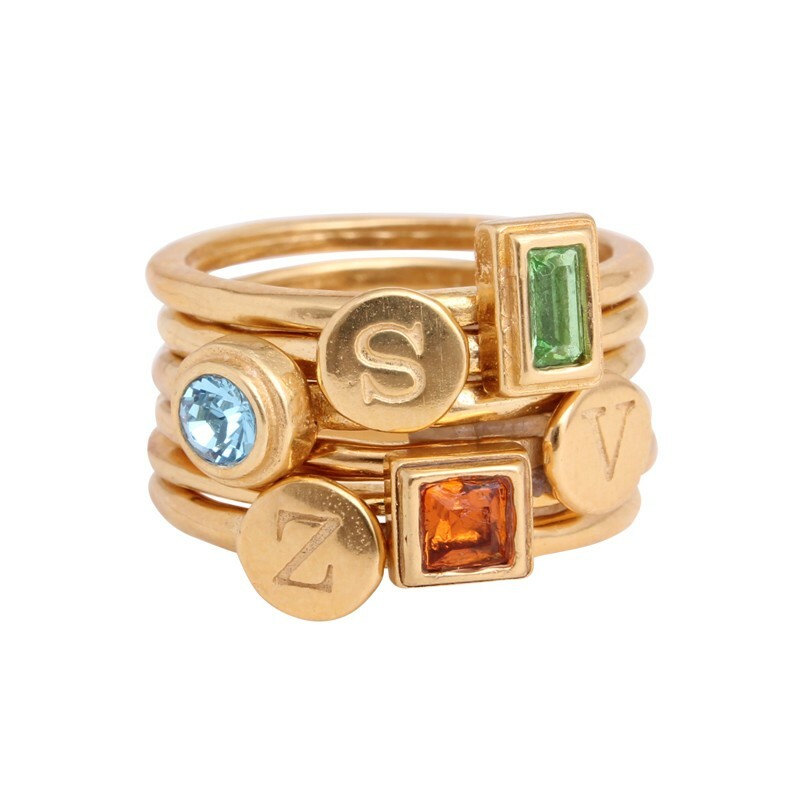 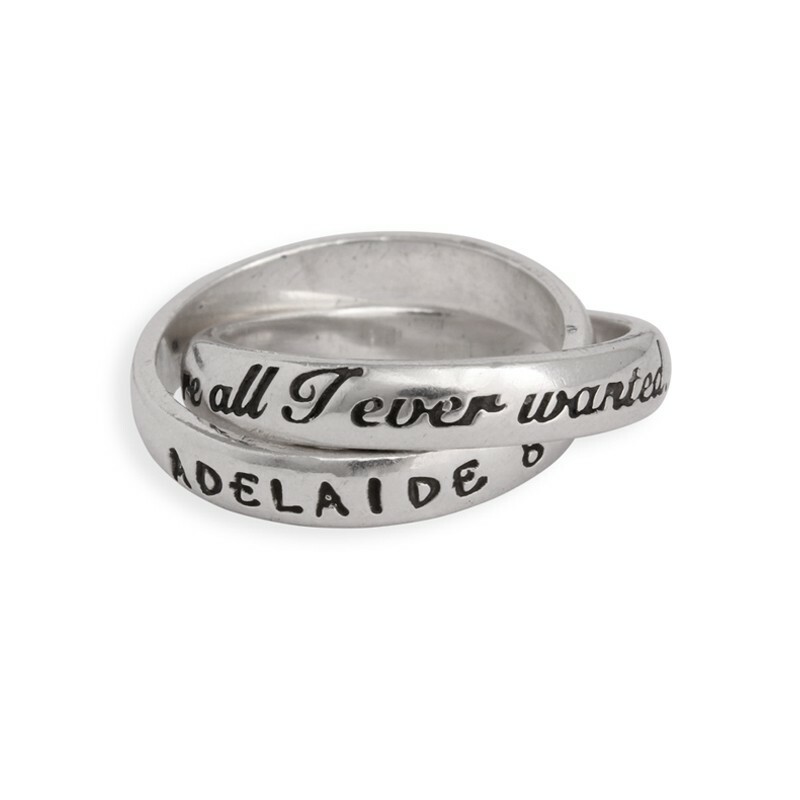 Or for him, check out our men's rings which can be stamped with the couples initials.